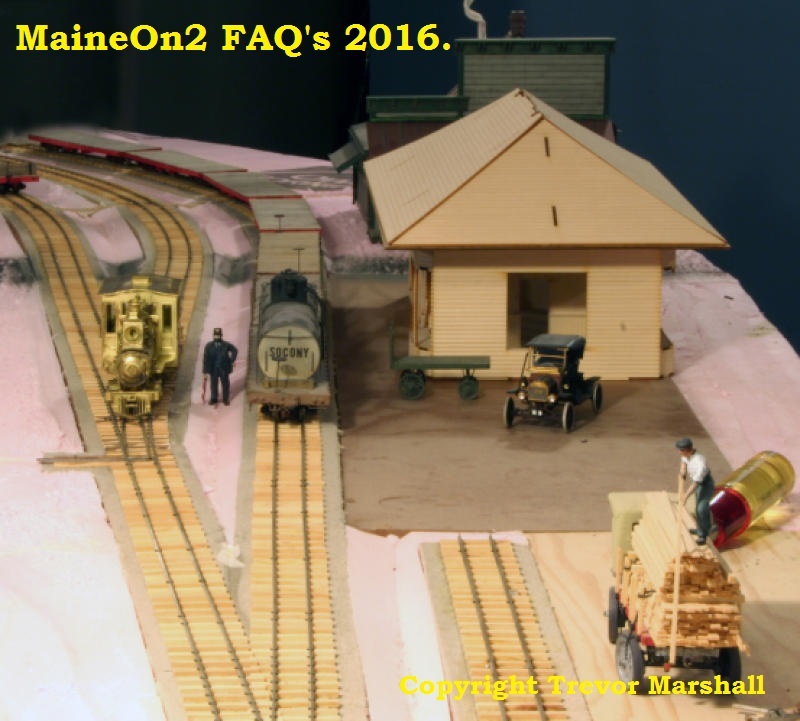 Editor’s note, 08-May-2017: the original content of this post has now been incorporated in a new blog post with the title “Couplers – Maine Two Foot prototype and models”. Click here to view the new topic on another browser page. This page is retained for administrative purposes. The Precision Scale ¾ MCB knuckle coupler. 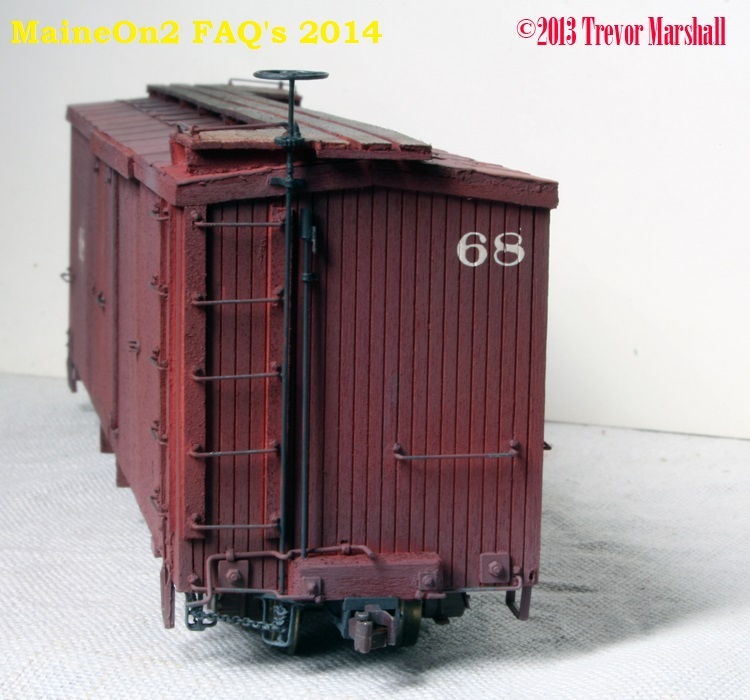 Couplers – Maine Two Foot prototype and models. 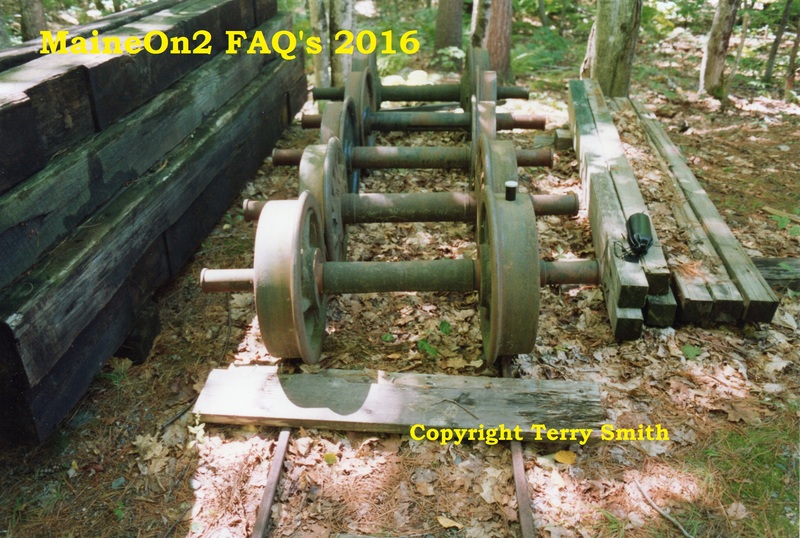 Most of the Maine Two Footers used link and pin couplers in their early days, particularly on freight cars. The B&B was notable in using the Miller Hook on all its equipment, but the line did not last very long. All of the B&B equipment was transferred to the Sandy River. The B&SR Laconia built passenger equipment was also fitted with the Miller Hook. ICC and other Federal Regulations dating from 1893 forced the introduction of Knuckle couplers on all American railroads. 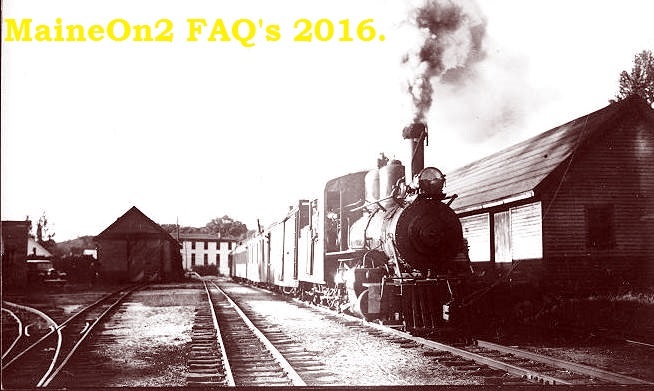 The Maine Two Footers which complied with these regulations appeared to have installed in them in programs, starting with the locomotives and passenger equipment, then freight cars. Most of these knuckle couplers were slotted to allow coupling to link and pin couplers. 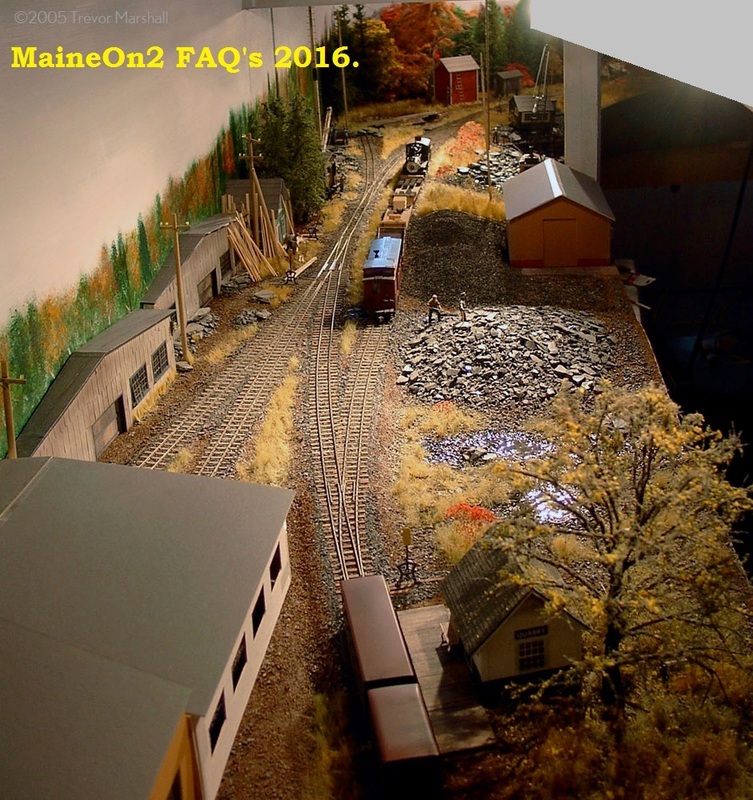 All of the Maine Two Footers retained this facility as it enabled M-O-W and track maintenance equipment to be moved in regular trains. Both the SR&RL (date required) and B&SR (all engines and cars fitted with knuckle couplers during 1906 at a cost of $800) are believed to have changed to knuckle couplers completely, and the Wiscasset may also have done so by retiring or not using the link and pin fitted equipment. The KC seems to have retained link and pin couplers (confirmation required). The Monson line was noted for retaining link and pin couplers to the end of operations in the early 1940’s. MaineOn2 Yahoo! group members should note that there was a pretty substantial and thorough discussion of prototype couplers in a couple of threads starting around 13 and 15th April 2006. Link and Pin coupler – prototype. 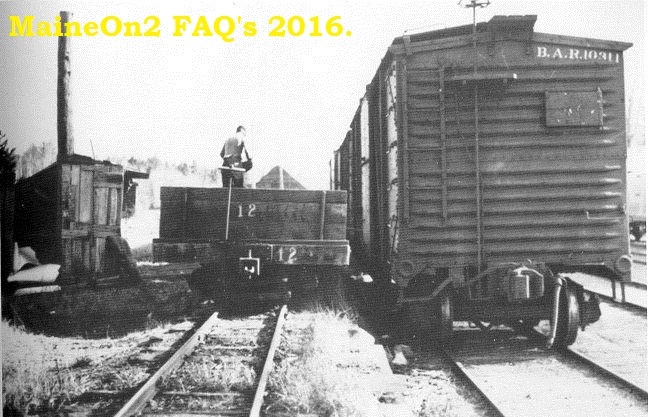 This picture shows a Monson flatcar fitted with a link and pin coupler alongside a standard gauge boxcar fitted with a standard Knuckle coupler. 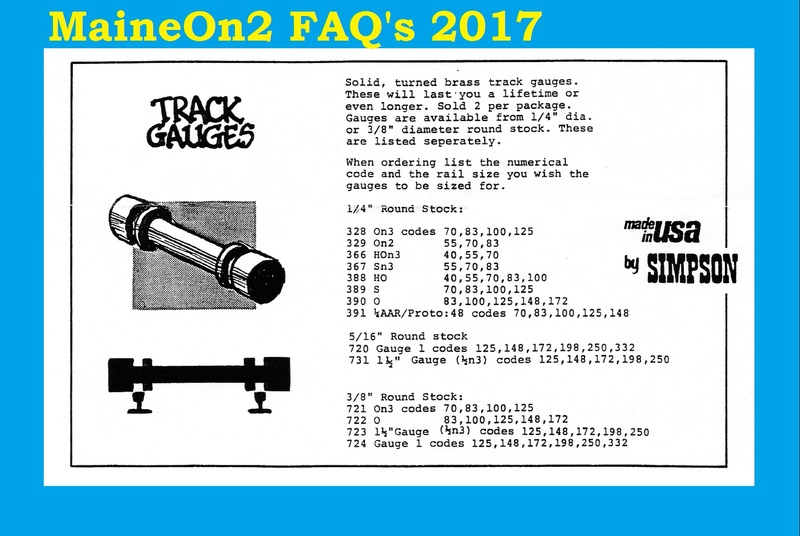 For a picture and article about the prototype standard gauge link and pin coupler on another browser page click here. 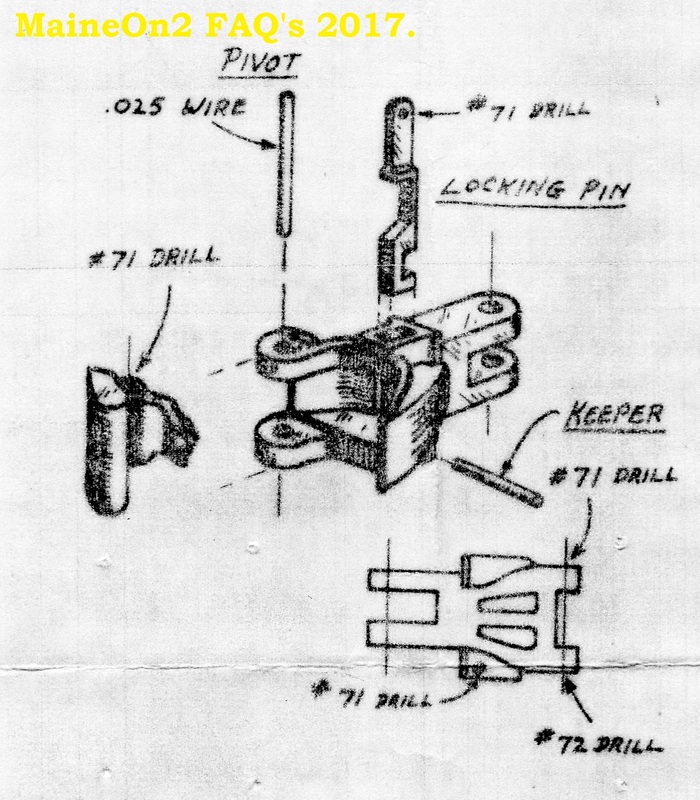 The Miller Hook or Miller Platform – prototype. The Miller hook coupler was a proprietary design aimed at ensuring that cars did not slide over each other in the event of a collision. The Equipment Builders photos of the B&B Railroad state that each piece of rolling stock was equipped with these couplers. The major use of these couplers was for passenger rolling stock when used with the Miller Platform. For further information about the Miller Hook/Platform on another browser page click here. The Maine Two Footers that used knuckle couplers fitted the ¾ MCB knuckle coupler with a slotted knuckle. 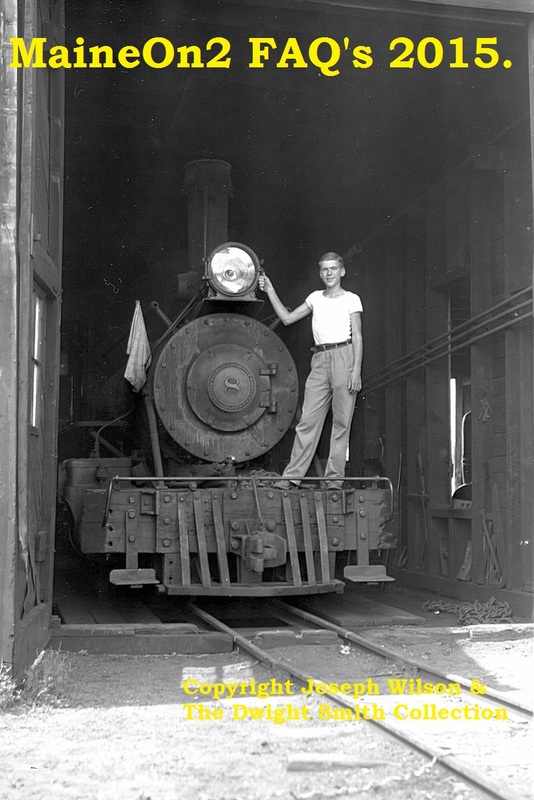 The picture above shows a young Dwight Smith standing on the pilot of B&SR/B&HR Loco #8 in 1940, fitted with a ¾ MCB slotted knuckle coupler. For further information about knuckle couplers on another browser page click here. 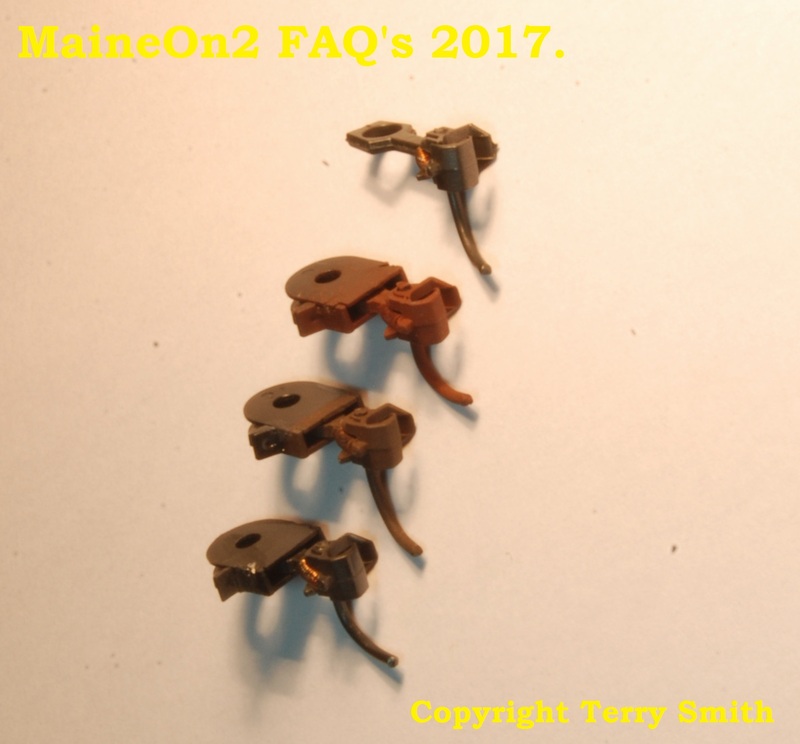 The wide availability of the Kadee and other similar knuckle couplers for HO, and their operational capabilities mean that the Kadee #5 coupler became the de facto standard for Maine On2 modellers. There are alternatives such as the Sergent coupler or the use of a link and pin coupler, but these are rare. 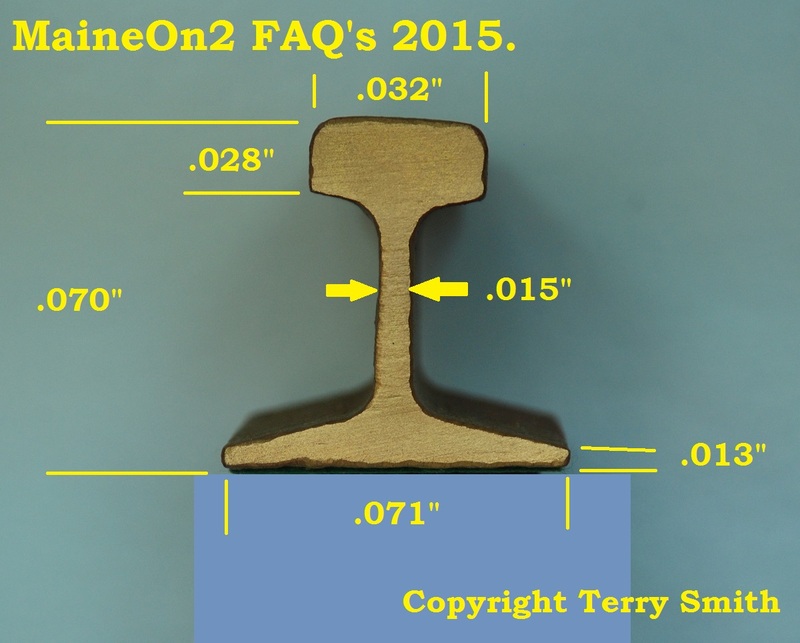 On2 Coupler height should be set for coupler center to be 16-17″ above rail height. There is a coupler height gauge made by AMB’s John Hitzeman. On2;- I build my own On2 cars to the prototype derived dimension of 18″ from the underside of the underframe to the rail head………and then I fit an HO Kadee coupler on each end……it works for me and seems to match the brass loco’s that I have. I don’t refer to the NMRA Standard for this, no need to. Maine style On30;- based on my past experience as a small scale manufacturer, then all those On30 customers who had real votes (ie dollar bills) chose to build their On30 cars at a scale 21″ underside of the underframe to the rail head dimension and floor mount their couplings which then matched with the rest of their On30 stock. Definitions; I find it far simpler to define an underfloor height as a coupler mounting surface and then mount the coupler than work to a rather nebulous and complicated centre of knuckle height. 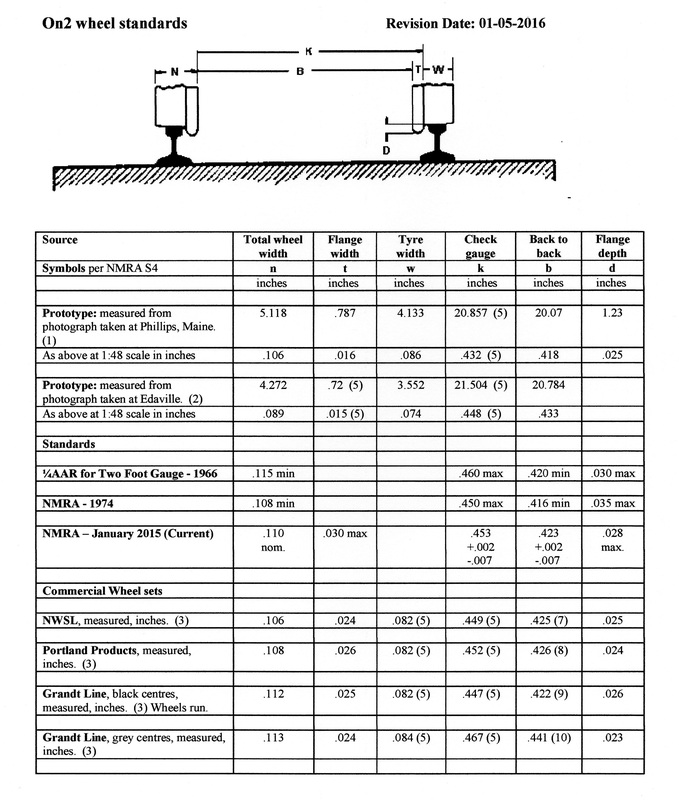 Terry later noted (in 2013) that the NMRA correct coupler height will result from using the proper car floor to rail dimension of 18″ (prototype) or .375″ (model) and normal Kadee HO couplers (#5 and similar) in their normal draft gear/boxes mounted with their topsides against the floor. 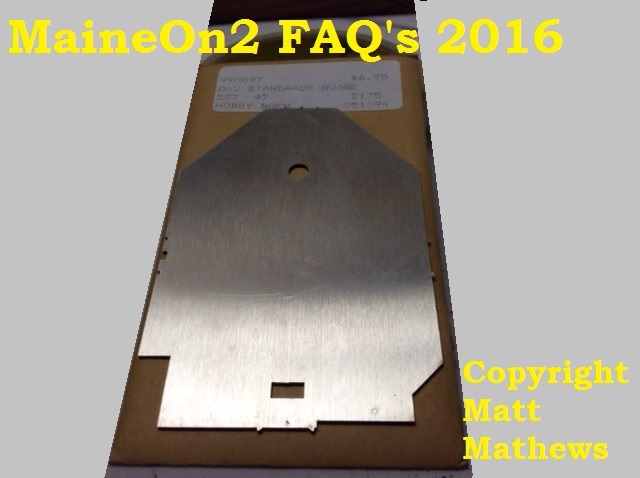 Mark Hall wrote a good article of representing prototypical coupler boxes when using Kadee couplers in M2FM 1989 Vol 21. 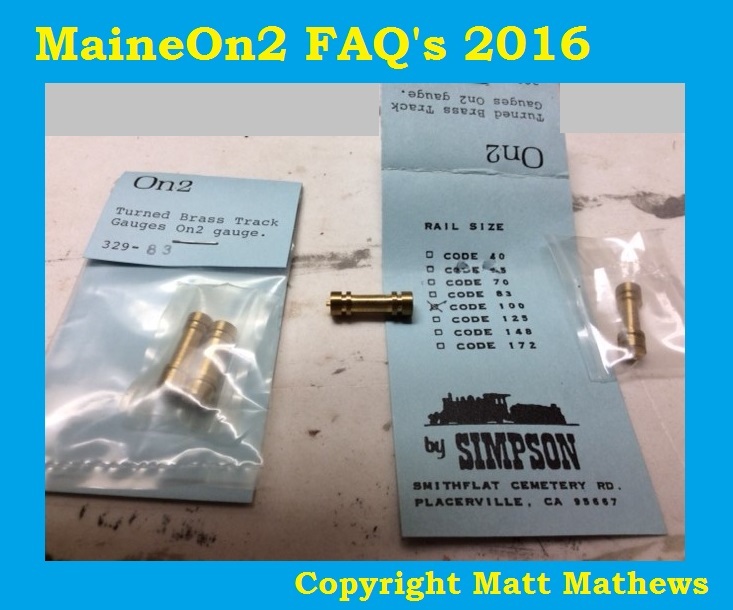 In the many discussions over the years about what couplers were used on the Maine Two Footers and their sizes and what coupler to use with On2 models, the one thing that mildly concerned me was that I had never thought that the Kadee HO couplers I use actually looked out of place on my own stock in comparison with the full size Maine Two Foot cars that I had seen at Edaville, Portland and other places, or with various published historical photo’s in standard texts. I have now finally managed to print out an end-on photograph of one of my own boxcar models with approximately the same perspective as some pictures of the full size car taken at Edaville and the earlier historical photographs from the B&SR. 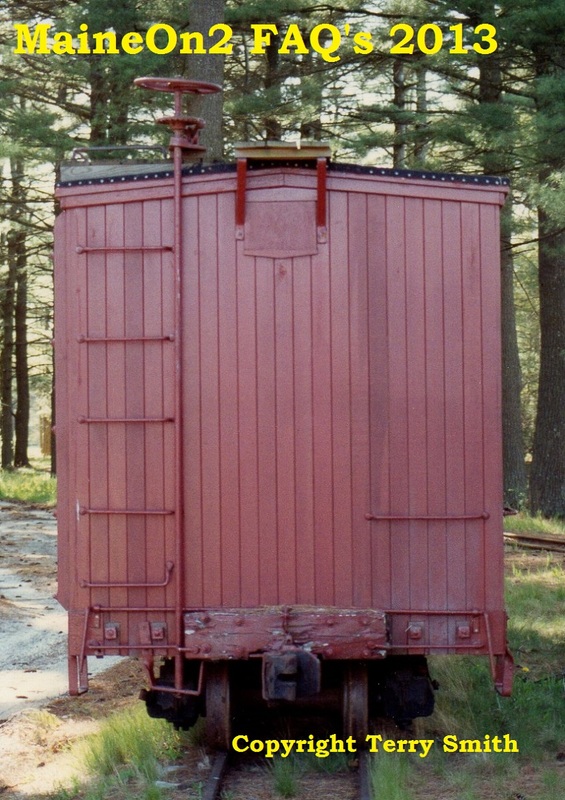 The ratios of boxcar width to coupler knuckle heights in the photographs are Edaville 11.2; Model 11.2; Bridgton 10.7. It seems to me that the standard HO Kadee coupler is a pretty good match sizewise for those fitted to the B&SR Boxcars. 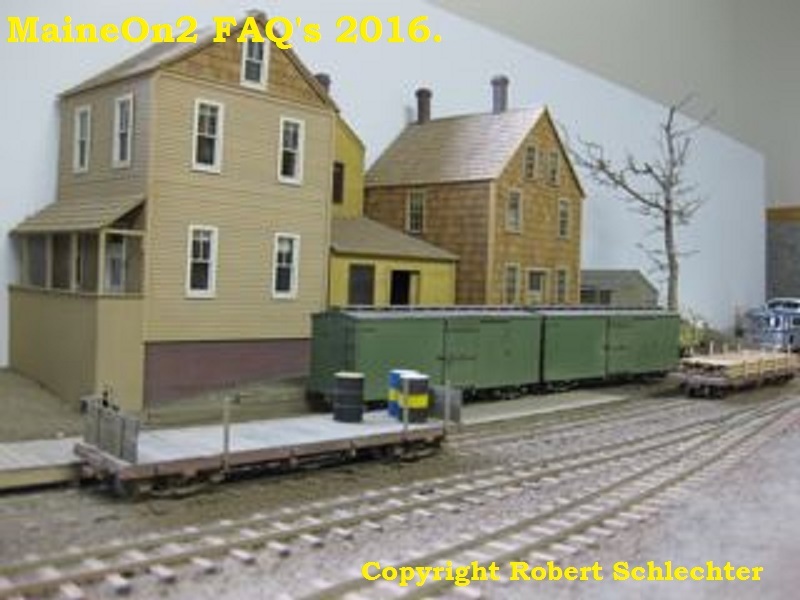 Shown below are Terry’s photos of (L) one of his models with a Kadee coupler and (R) prototype car at Edaville. The Kadee #5 knuckle measures 0.146″ top to bottom, this is equivalent to 7″ full size in US O scale. The knuckle may be oversize for HO scale, but seems to be the right size for On2. A search through the past messages of the Yahoo! 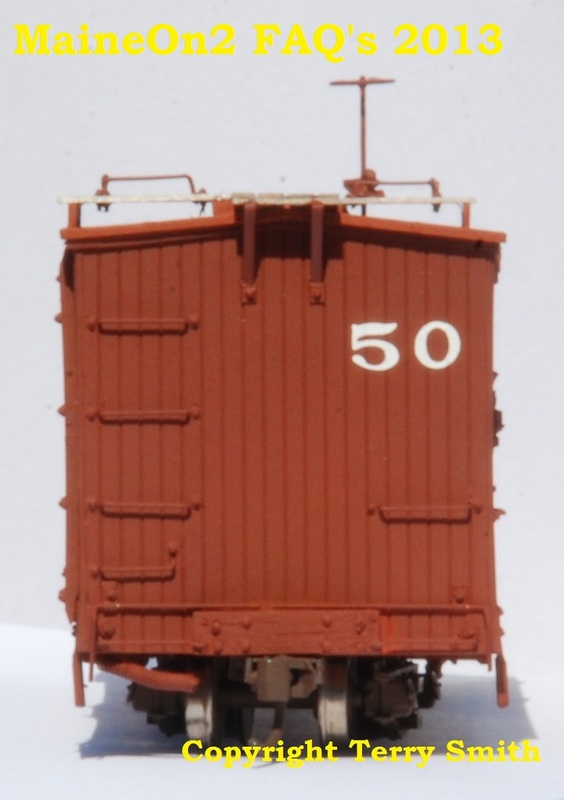 group in 2014 showed that the height of the knuckle of the ¾ MCB coupler used on the prototype is 6 3/4″ or 0.141″ in US O scale, so the Kadee #5 is pretty close! Some modelers have issues with the appearance of the Standard Kadee HO coupler, in particular the spring that closes the knuckle. The coupler (and spring) can be painted (as in the model boxcar photo above) – check out the spring – is it really that obvious? 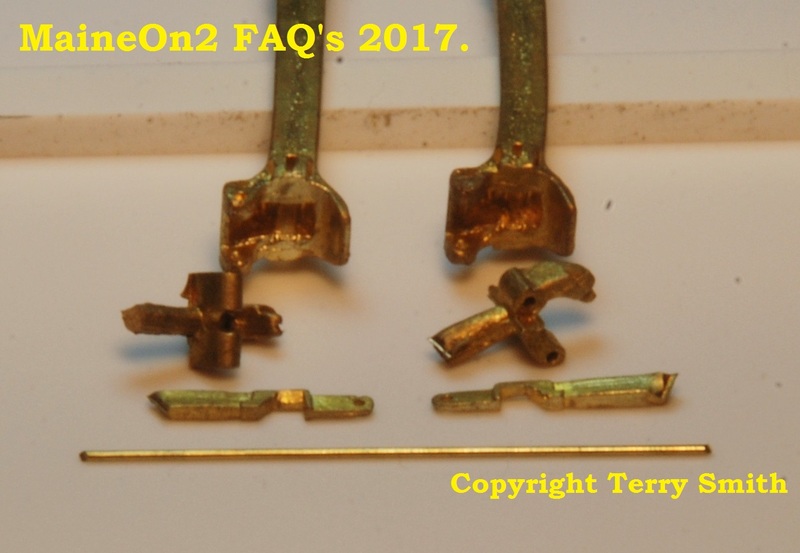 The above picture shows a close up of 4 standard HO Kadee couplers, as used as the “de-facto” standard for On2 by many modellers. The top and bottom couplers are unpainted. The middle two have been airbrushed with paints depicting a fresh orange rust colour (2nd from top) and an alternate darker brown rust (3rd from top). Clicking on the picture will load a larger version into your browser window. Model couplers – scale ¾ MCB knuckle coupler. Precision Scale Models have a scale ¾ MCB knuckle coupler in their extensive product range of brass parts. Part number PSH-4032-2 is described as On3 coupler, regular shank, slotted knuckle. Dimensions: the piece of wire is 1.197″ long: the knuckle on the left measures 0.186″ high: the left coupler body measures 0.254″ across its maximum width and the left coupler shank measures 0.095 – 0.097 wide. The Precision Scale part is accurately scaled, with a working knuckle released by a working pin that can be operated by a working cut lever. It would make a nice front coupler for any On2 loco that only very occasionally needs a working front coupler, but it does require careful assembly. 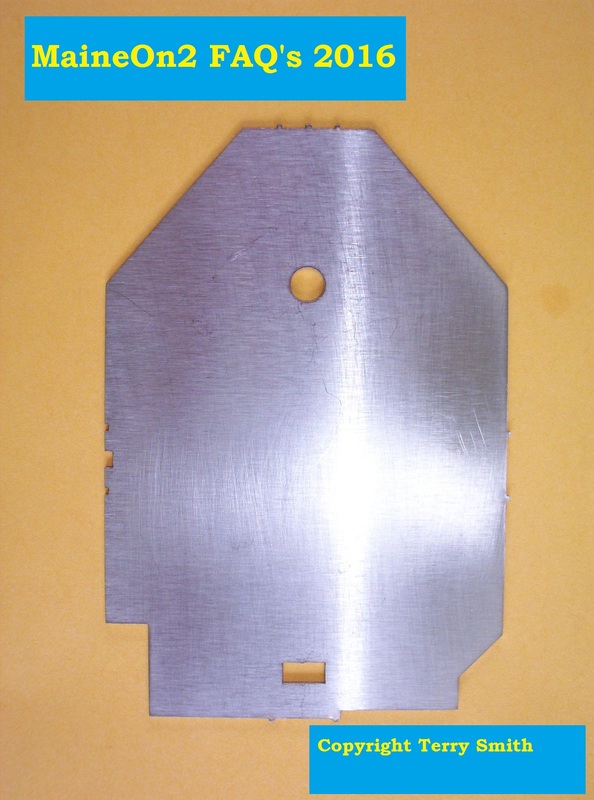 Foothill Model Works list a link and pin coupler set in their current product range – part number FMW – 4005, based on a Westside Lumber Company prototype. Click here to view on another browser page. Coronado Scale Models also listed a number of different link and pin coupler sets in their own range of brass castings (confirmation of current availability and part numbers required). CP-118, CP-138 & CP-140. 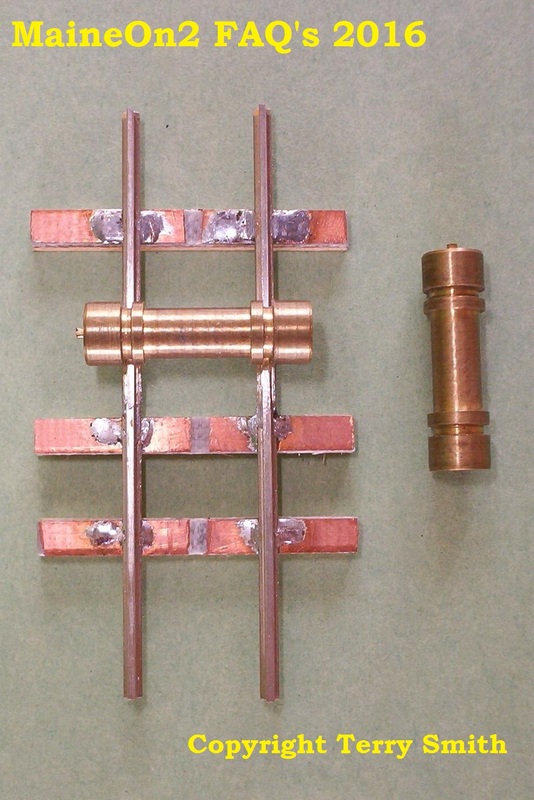 Harold Minky has a web site showing his designs for working link and pin couplers in O scale narrow gauge, click here to view on another browser page. Model couplers – Sergent – Trevor Marshall’s experience and evaluation of Sergent Couplers. 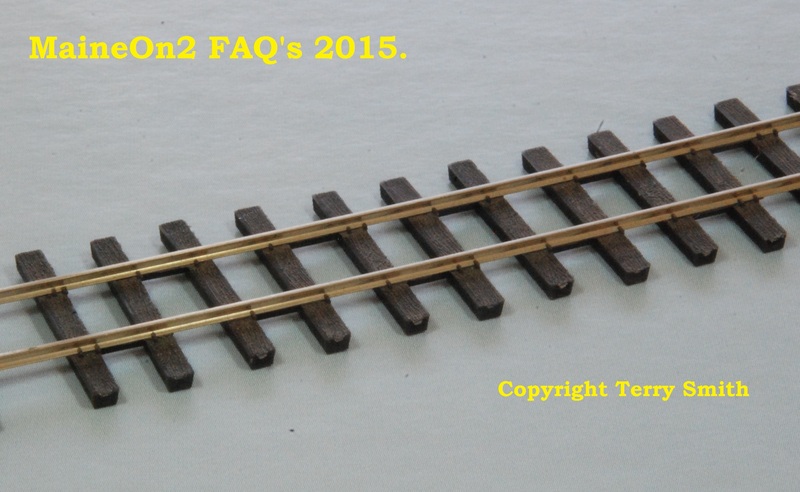 FAQ’s fellow editor, Trevor Marshall has done a lot of experimenting with the Sergent coupler in both On2 and S scale standard gauge. Readers should note that Trevor’s current use of Kadee couplers on his S scale layout is more to do with his own reliability of assembly of Sergent couplers than their inherent design. Trevor has said many times that if factory assembled Sergent’s were available in S scale then he would use them. This picture shows one of Trevor’s S&PCC boxcars (based on a SR&RL prototype) fitted with the HO scale Sergent coupler. This underside view shows how neatly the HO scale Sergent coupler fits between the wheels of the Grandt Line freight truck. This picture shows one of Trevor’s caboose’s fitted with “S” scale Sergent couplers. 1 – If everything’s within coupling reach, it’s also within reach for building and maintaining track, cleaning track, etc. 2 – The need to open a knuckle before coupling increases the amount of work the crew does, which takes time and therefore makes the run seem longer (something from which all layouts can benefit). 3 – The Sergents are just more realistic. They’d be incredibly frustrating on a large, operations oriented layout (like an HO club layout with several hundred cars to move in a session)…. but who in On2 is doing that? As for height, I use a little laser cut coupler height gauge made by AMB’s John Hitzeman. I’ve attached a Sergent coupler to the top of it (without the ball bearing), and use this to set the height on my equipment. Usually, this requires a spacer between the locomotive frame and the coupler box. I’ve been building my own coupler boxes, as I’ve yet to find one that these couplers fit into. The hole in the coupler shaft is smaller than that in a Kadee #5, so the plastic tube in a #5 coupler box is too big to fit through the Sergent coupler. Some good coupler boxes (laser cut acrylic, perhaps, John?) would be a great benefit for these. Update: Feb 2005: Having tried my own coupler boxes for several months now, I decided to try some Kadee coupler boxes. The boxes for Kadee’s S std gauge/On3 couplers (same box) fit the Sergent’s perfectly. By cutting them to discard everything behind the two mounting holes, they’ll fit between the wheels of an On2 car and not interfere with the outboard axle. The Kadee S boxes provide better coupler swing and are easier to install. I was able to bulk order 100 boxes directly from Kadee. (www.kadee.com). Those interested in a scale size coupler as operating on the Maine lines during their heyday should probably engage in further research before jumping on the Sergent S scale bandwagon (as attractive as that seems). One thing that I haven’t seen mentioned in this coupler debate is the giant spring on the side of every Kadee coupler, that controls the knuckle. I find it amusing that people are getting twisted up about a scale inch here or there, but are apparently quite happy to ignore the big spring. And that brings me to a larger issue that I haven’t seen addressed, and that’s this: before picking a coupler, decide what it is you want to do with the model when it’s done. Each style of coupler has pros and cons… I’ll list a few, based on my experience with both. Assembly/Installation: – Kadee wins here, hands down. They’re easy and quick to assemble and install. 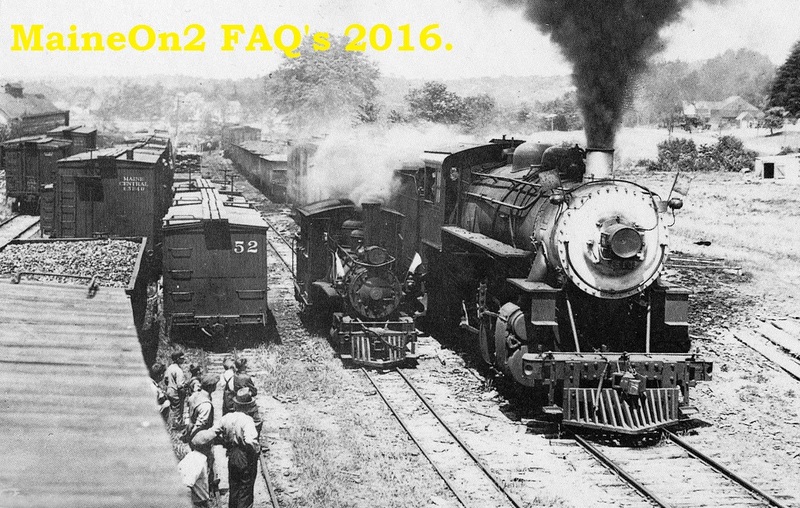 This may be important to those planning to build a lot of rolling stock. Sergents take about 45 minutes per pair to build – and most people should plan on rebuilding their first half-dozen pairs because you’ll get better at doing them, and the first ones won’t operate as reliably as the rest. Appearance: – Sergent wins, hands down. As I noted above, knuckle couplers – whether 1/2 MCB, 3/4 MCB, Type D, Type E, or what have you – don’t have large springs on their sides. Even if the Sergents are a little too large, or a little too small, not having a spring on the side more than makes up for it, appearance-wise. Operation of the coupler itself: – Kadee gets a slight nod here, as they are pretty damn reliable right out of the box. But if you take your time and work carefully on building the Sergents, they can operate very, very well. Your success depends on your own skill. KADEE LAYOUTS – If you are building an operations-intensive layout – let’s say you’re doing Farmington to Phillips, with staging north of Phillips and staging northeast of Strong – you will be better off with Kadees. You’ll be shuffling a lot of cars, and the need to open knuckles on the Sergents can become tiring pretty quickly. – If you are building a layout that has car-spotting locations that are more than 18″ from the aisle, or that are inside buildings, you’ll want to use Kadees. Obviously, this depends on a number of factors, including layout height, the length of your arm, and how good your eyes are. But in general, with Sergents you need to be able to get your head directly above the couplers you want to couple or uncouple, every time. Sergents have a smaller gathering range than Kadees, so you must open the knuckle(s) then carefully check the alignment of the couplers before trying to couple. If you can’t reach and can’t see to do this, you’ll experience no end of frustration. Kadees have a better gathering range, couple automatically, and can be uncoupled using under-track magnets so one doesn’t have to reach into the layout to make them work. SERGENT LAYOUTS – If you are building a smaller, more relaxed layout – for instance, the KCRR – then the extra work that Sergents require (opening the knuckles, aligning the couplers) actually becomes more play value. Prototype railroads have to open knuckles, manually align couplers, etc., so it’s more realistic, too. Sergents slow down your operations. It’s impossible to bang the cars about with Sergents, whereas with Kadees one can do jackrabbit-like changes in direction over a magnet and kick cars all afternoon. Sergents, manually writing switch lists, train orders and other paperwork, and installing and learning to properly use sound systems (DCC or analog) help stretch out an operating session and turn it from a puzzle to a re-enactment of real life. For a small layout, the extra work involved with all of this will make a 15 minute operating session take an hour. Some people may like that, others will not. Decide which type of person you are before picking couplers. and Sergent now have a more accurately moulded S scale coupler on the market. Trevor Marshall had reported having difficulties with reliably assembling the earlier version of this coupling, so much so that he opted for the pre-assembled scale HO version (visibly undersized) for his MaineOn2 layout). See http://themodelrailwayshow.com/cn1950s/?p=4122 for pictures, or http://www.sergentengineering.com/ for more information. 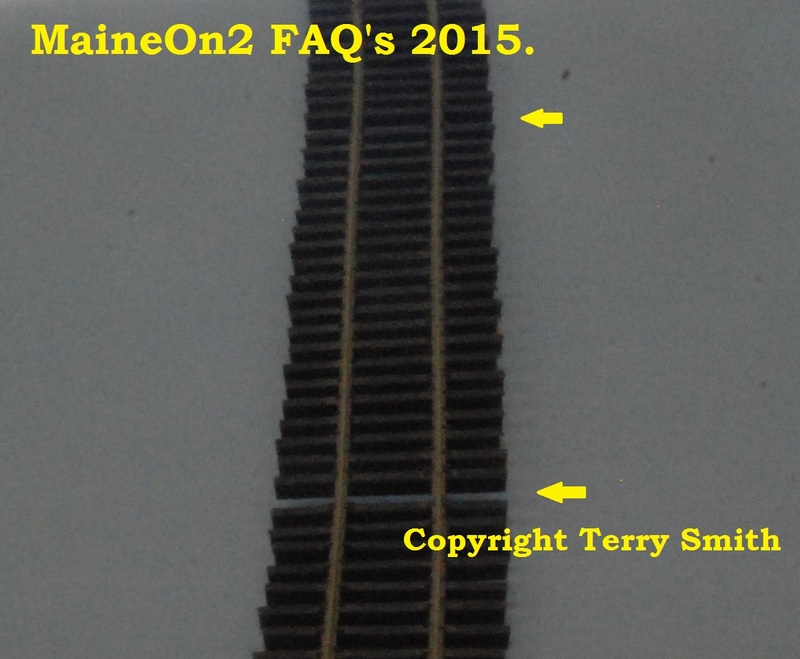 Editors note dated 04 January 2014: Trevor Marshall is currently modelling a CN standard gauge branch line in S scale, and using Kadee couplers for reliability. This may well change if Sergents produce a more “robust” S scale coupler for home assembly or factory assembled couplers. Please note that “robust” is used here in its manufacturing engineering (Statistical Process Control) context, rather than the more common physical meaning of hefty or over-large.